Soren Baker is an incredibly respected journalist in the world of Hip-Hop. After years of writing and interviewing numerous rap legends, he went on to become the editor at The Source magazine, which was the bible for all of us Hip-Hop heads growing up. More recently, his online channel Unique Access Entertainment has surpassed one million views on YouTube. As you’ll see, Soren is also a true Hip-Hop scholar, historian, and fan. 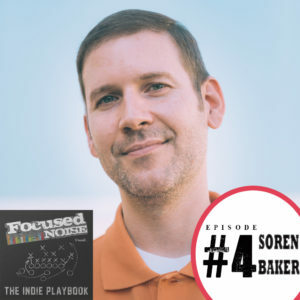 Find out how Soren’s love for Hip-Hop culture and rap music has led to amazing opportunities to pen books and write for television and films.